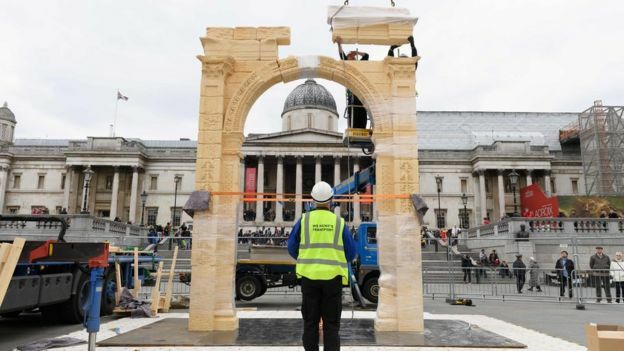 The Roman Arch of Triumph has risen in Trafalgar Square, London. This is a recreation of the triumphal arch near the Temple of Ba'al in Syria. As we had previously reported, this arch was scheduled to be erected on April 19th, and indeed it was. Interestingly, President Obama will be in London in just two days. I wonder if he will pay a visit?